What information does Box Appliance need from customers when they call? The first thing our customer service representatives ask when a customer calls is whether our team has serviced an appliance at your home before. If you are a new customer, we will document all contact information and appliance product information for future service needs. 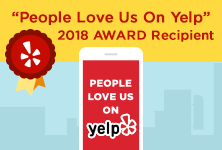 We create an account for each customer to keep a record of all previous service calls, giving our technicians a history of maintenance and repairs. We ask that our customers identify the model and serial number of the appliance they want serviced. Knowing the specific model and serial number helps us prepare ahead of time and put any additional parts that may be required on the service truck. We know you may not always be in front of your appliance when calling to schedule your service call, but this information is crucial for preparing our repair technicians and gives us a better chance of repairing your appliance in one trip! Having trouble finding the serial number? Click Here for more information. How can a customer schedule a service call with Box Appliance? If your Sub-Zero or Wolf appliance needs repair or maintenance, you can request an appointment online, through email or over the phone. Each service call is unique, so if you do request a service appointment online, one of our Customer Service Representatives will call you by phone to schedule your repair or maintenance appointment. We try to schedule all appointments during the first call with our customer, but we may have to consult an appliance repair technician before we can accurately schedule the service needed. If you would prefer to have a guaranteed window time when scheduling your appointment, you have the option to ask about our First Call appointment*. This is the very first call of the day and is the only time we can confirm in advance. *Please keep in mind these First Call appointments can schedule out a few weeks in advance, and may not be available for urgent appliance issues. Will you know what is wrong with my appliance before you show up? After the Box appliance customer service representative schedules your appointment, a service technician and a parts department specialist will review all of the information collected during our initial call. They will help assess the issue and ensure that your repair technician is prepared the day of your appointment. While the trucks are fully stocked with Factory Certified parts, it is possible that the issue requires additional or specialty parts not carried by the tech at that time. If your repair technician has to return to complete the repair outlined in the estimate, you won’t have to pay the service call fee again. What if my appliance needs a new part? 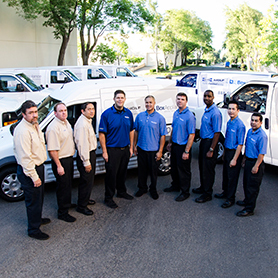 All of our appliance repair technicians come into the Box Appliance shop every morning before being dispatched on their repair route for the day. This allows them to review each appointment and stock their trucks accordingly. If the part needed to complete the service call is in stock, the technician will make sure that part is on the truck. If it is determined ahead of time that a part may be required and we do not have in stock, we can special order it in time for your appointment. If you just want to order a replacement part for any Sub-Zero or Wolf product, please contact your local Sub-Zero certified parts distributor. What should you expect during a service call? The day before your appliance repair appointment, a Customer Service Representative will contact you with a three-hour window. These appointment windows are assigned to each appliance repair technician based on the geographic route with about six to eight stops per day. Our customer service representatives plan out each route the day before to accommodate all appointments with the greatest efficiency. Your repair technician will call when they are on their way to your house from a previous repair job. Depending on how far away their last appointment call was, your technician may arrive within five to 30 minutes. When one of our appliance repair technicians arrives in a Box Appliance truck, they will have a laptop to aid in diagnostics, repair estimates, parts, and appointment management. During the service call, each repair technician will put on boot covers to respect your home and keep it as clean as when they arrived. You will then receive a follow up call three days after your appointment to make sure everything was satisfactory and you have no further repair needs. Because our technicians work off laptops (and not paper) you should expect to receive your final invoice via email the day after your completed service call. A hard copy can also be mailed to your home if you prefer. What goes into the cost of each appointment? Each appointment has a flat service call fee that includes the trip and diagnostic. Your repair technician will then estimate the cost of the repair needed and tell you whether or not he can complete this repair during that service call. Using our tracking and management software, your tech will click Start on his laptop to begin each appointment so that any work done is recorded and approved. Although this does track the time spent at each service call, labor costs are based on the specific tasks completed, not how long it took to complete. What is the warranty on parts and labor? Box Appliance provides a one-year warranty on parts and labor. If any part of your appliance that was repaired by Box Appliance fails within a year, it will be repaired at no charge to you. Also, our flat service call fee has a 30-day guarantee, so you pay our flat fee only once, eve if your appliance repair call requires multiple trips. Sub-Zero and Wolf may assist with the cost of repairs and parts if you use a Factory Certified repair company (like Box Appliance) that works exclusively on Sub-Zero and Wolf appliances. Our work is authorized and trusted by Sub-Zero and we go to great lengths to take care of our customers and offer the highest level of service.